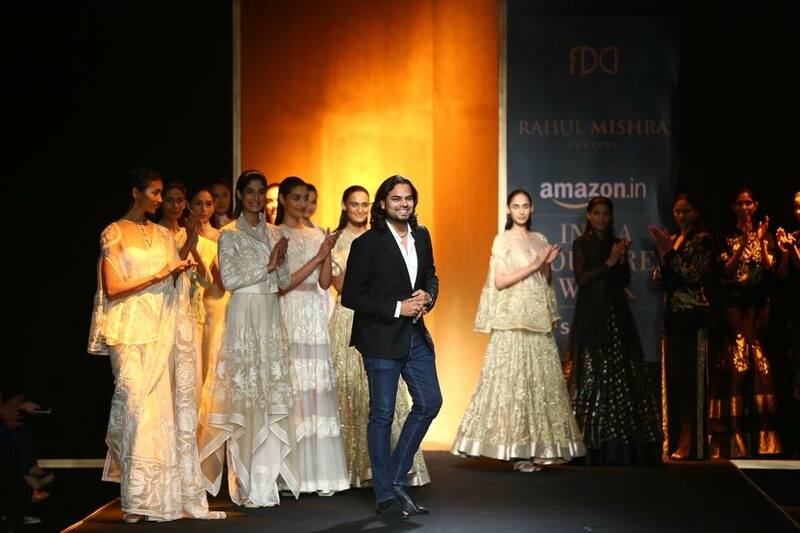 After winning worldwide acclaim & honors, Rahul Mishra made his India Couture Week début tonight with his Tree of Life Collection at Amazon India Couture Week 2015.The collection featured Mahaeshwari, Banarsi & silk organza fabrics with motifs inspired from flowers,leaves & birds. Dominated with traditional colors, the collection was simply a breath of fresh air with its simplicity & elegance. More about Rahul Mishra: Rahul Mishra became the first Indian to win International Woolmark Prize. He has showcased his collections at Paris & Milan Fashion Week. Rahul is also the recipient of Condé Nast Traveller Excellence Awards. He has dressed celebrities like Sharaddha Kapoor, Deepika Padaukone, Sonam Kapoor, Anushka Sharma & many more. Amazon India Couture Week began on 29th July & will conclude on 2nd August. Do check out Sabyasachi Mukherjee’s Collection as well.